At RGV Cosmetic Surgery & Vein Center, we specialize in a range of cosmetic surgery techniques and offer procedures to help you look you best. Our highly qualified staff is well-equipped to help you achieve your cosmetic goals. We offer cosmetic surgery to residents living in and around McAllen, Brownsville, the Rio Grande Valley, and all of South Texas. Cosmetic Surgery is a sub-specialty of general plastic surgery that focuses solely on the enhancement of your physical appearance through surgical and medical techniques. Cosmetic surgeons focus on maintaining or restoring normal appearance, and on enhancing one’s physical appearance to an aesthetic ideal. Cosmetic Surgery is a comprehensive approach that encompasses all areas of the head, neck and body. It fully incorporates the participation and knowledge from multiple disciplines, including dermatology, general surgery, plastic surgery, otolaryngology, ophthalmology, gynecological surgery, and oral-maxillofacial surgery. Is Cosmetic Surgery the Same as Plastic Surgery? Cosmetic surgery and general plastic surgery are NOT the same thing. General plastic surgery is a surgical specialty dedicated to the reconstruction of facial and body defects due to birth disorders (such as cleft palates), trauma, burns, and/or disease (such as breast cancer). General plastic surgery training focuses on the correction of dysfunctional areas of the face and body and is reconstructive in nature. Although many of the techniques developed in reconstructive plastic surgery are applied to cosmetic surgery, cosmetic surgery has evolved into a unique surgical discipline. Cosmetic surgery is an advanced sub-specialty of general plastic surgery that requires specific dedication – in addition to basic training in reconstructive surgery – in order to obtain excellent results. There are no dysfunctions in the areas of the body that are treated in cosmetic surgery – these are elective procedures to enhance a person’s appearance toward an aesthetic ideal. Who is Qualified to Perform Cosmetic Surgery? The educational profile of a cosmetic surgeon certified by the American Board of Cosmetic Surgery is rigorous and unique. After graduating from medical school, candidates must first complete surgical residency training in one of 6 approved ACGME accredited surgical concentrations: general surgery, plastic surgery, ENT surgery, cardiac surgery, gynecological surgery, or oral-maxillofacial surgery. This training after medical school often requires 5-8 years. Only after becoming board-certified in one of these surgical specialties is a surgeon then eligible to apply for an additional year-long advanced fellowship in cosmetic surgery through the American Academy of Cosmetic Surgery. Following this year-long cosmetic surgery fellowship, the cosmetic surgeon is eligible to challenge the oral and written examinations to become certified by the American Academy of Cosmetic Surgery. Special skills and knowledge in anatomy, physiology, pathology, and basic sciences are essential in cosmetic surgery. The rigorous training requirements ensure that a cosmetic surgeon possesses the required knowledge, surgical judgment, technical mastery, ethics, and artistic skill to achieve the goal of providing not only safe, but outstanding cosmetic surgery outcomes for our patients. The American Board of Cosmetic Surgery exists to ensure competency in cosmetic surgery, and is the only board dedicated exclusively to excellence in cosmetic surgery. Dr. Filiberto Rodriguez is double board-certified by the American Board of Surgery and the American Board of Cosmetic Surgery, and is one of the few surgeons in the country with advanced fellowship training in cardiothoracic, general reconstructive plastic, and cosmetic surgery. 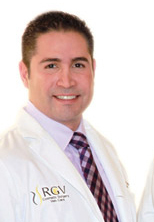 With his expertise and technical mastery, he offers patients safe and rewarding cosmetic surgery procedures at RGV Cosmetic Surgery and Vein Center. What Cosmetic Surgery Procedures Are Available? How Much Does Cosmetic Surgery Cost? To determine the cost of your cosmetic surgery, we invite you to schedule a private consultation at our practice. During your consultation, we will assess your cosmetic goals in order to pursue a treatment plan that matches your unique needs. Then, we will be able to provide you with a clear breakdown of the costs associated with your treatment. At RGV Cosmetic Surgery & Vein Center, we accept a number of payment and financing options, including cash, checks, money orders, major credit cards, and CareCredit® financing. We also offer simple and secure online payment options for the convenience of our patients. If you are considering a cosmetic surgery procedure, you can choose no better practice than RGV Cosmetic Surgery & Vein Center. Our highly skilled staff has decades of experience in cosmetic surgery and looks forward to welcoming you to our practice. Residents of Brownsville, McAllen, the Rio Grande Valley and all of South Texas are invited to contact us today to learn more or schedule a consultation.